Kiba Pig Poppos are a type of Gale Hawg appearing in Donkey Kong Jungle Beat. They are green camouflage in appearance, with a blue snout and red eyes, and are usually seen with a Ninjape riding them, having them charge across a certain area of a level. Their appearance in a level is identified by the sound effect that plays when Donkey Kong nears the area one covers. The first time one appears is in the Strawberry Kingdom's level Spirit Tree. Here, they are found near the beginning of the area. Their second appearance is in the level Battle for Storm Hill. However, here, there are two Kiba Pig Poppos, both in different areas. 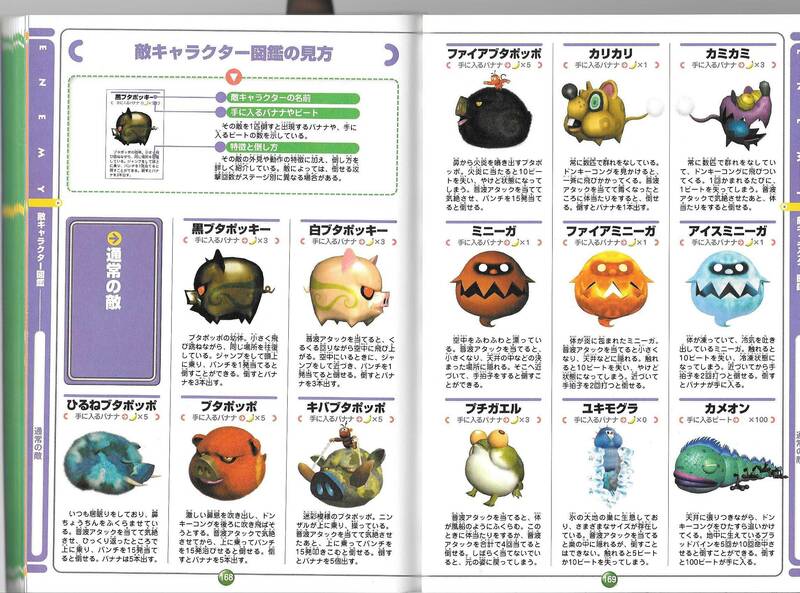 The final appearance of Kiba Pig Poppos is in the VS. Cactus King and VS. Ghastly King level, where they appear on the ledge after the cannons. Kiba Buta Poppo Tusk Pig Poppo; partially translated as "Kiba Pig Poppo"
This page was last edited on April 22, 2019, at 03:47.